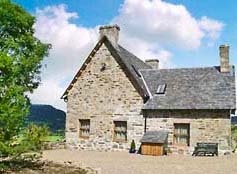 Which cottage self-catering holiday cottage accommodation for rent in Scotland, England, Wales and Ireland UK. Which Cottage work with owner managers setting up and running self-catering holiday rental businesses in UK. Maximise occupancy and allow viewers to search and find the perfect holiday home. 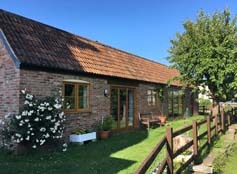 Which Cottage has been a specialist UK holiday accommodation marketeer for almost fifteen years, so we've experienced lots of trends in the self-catering holiday market. 3 Bedrooms. Sleeps 6. Disabled Access. 2 Bedrooms. Sleeps 4. Pet friendly. 4 Bedrooms. Sleeps 7-8. Pets.Hot Tub. 4 Bedrooms. Sleeps 8. Short breaks. 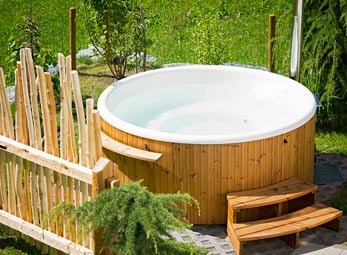 Which Cottage self-catering accommodation in holiday homes in UK. Choosing which cottage to rent for a holiday can be a daunting task. 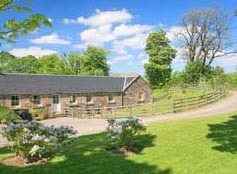 At WhichCottage.com we have put together a superb collection of self-catering cottages from all over the UK. When a property is listed directly with us you book which cottage you want to rent directly with the owner, so there are no agency fees or commission to pay. 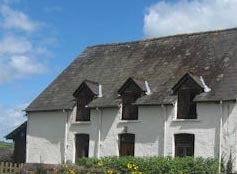 WhichCottage.com has luxury holiday cottages in England, Scotland, Ireland and Wales - all on easy to use Which Cottage sites with a great search facility. You can see which cottages are available when you want to go; which cottages take pets or have disabled access, swimming pools, tennis courts, hot tubs, open fires, are close to golf courses, beaches, lakes for sailing, roads for cycling, birdwatching or walking holiday areas etc... and search for the exact number of bedrooms you need and dates you wish to go on vacation. The cottages range from cosy hideaways in the English countryside to remote houses in Scottish glens or idyllic seaside accommodation in Wales or Ireland. Which Cottage started with luxury holiday cottages in Scotland and offers a personal service to cottage owners who advertise with us. There are lots of cottage sites on the web and multi channel booking has become very popular. Which Cottage regional sites are quick to load and with great navigation are very easy to use and have local tourist information to assist you with your holiday planning - perfect for finding your ideal self-catering house for a short break or longer holiday. Whichever part of the UK you want to stay in for a holiday you will find idyllic places to rent in rural locations, by the coast, in towns, cities and villages at Which Cottage. Cottage owners' comments are very important to us as the business has grown 'by word of mouth’ - please read some of the comments from holiday cottage owners that advertise with Which Cottage Group. So whether you have a small cosy holiday cottage sleeping 2, 4, 6, 8 + people, a lodge, a castle or a large holiday house sleeping 10, 12, 14 , 16, 18, 20+ guests this is a great place to find them. Large group accommodation is highlighted in the large house sections of the regional sites. Large holiday houses are very popular for several families to holiday together. Starting a holiday rental business? Current advertisers on Which Cottage are more likely to ask advice on how to improve their conversion rate - the usual answer to this is that they need to respond very quickly to enquiries as people have often asked about several cottages (certainly those that go off on holiday without access to their email do miss out on bookings!). The other main thing that can improve bookings is to have better photographs - it can be money well spent to employ a professional photographer to take the pictures as people do book on what they see in the photos and if they are poor then enquiries will be lower. Nearly all those that advertise their holiday cottage on Which Cottage are delighted with their level of bookings but we are always available to assist with free advice and information on the self-catering rental market and how to improve bookings for your holiday cottage. We have been in the self-catering business for a long time so have a wealth of tips and suggestions which we are happy to share. In these more difficult times everyone wants to get maximum bookings and convert as many enquiries as possible - times are hard in the holiday market but quality self-catering properties with owners that go that extra mile will still do extremely well! Certainly if you advertise on Which Cottage you can ensure that your business will get the maximum number of bookings as we are such a well established top internet self-catering cottage website in the UK! You are of course free to advertise where you like and we will synchronise our availability calendars with your own website (we can give you a free calendar to display on your own site), Anytime Booking, Bookalet, Freetobook, Google calendars, Home and Away, Airbnb, Owners Direct, Super Control, Booking.com, Trip Advisor and many other third party accommodation booking sources so that you are always up-to-date, in control and can avoid double bookings. No additional charges - one off annual fee. You pay no commission and your guests pay no commission on bookings. Which Cottage offers some of the highest standard of self-catering holiday homes in UK and Ireland. 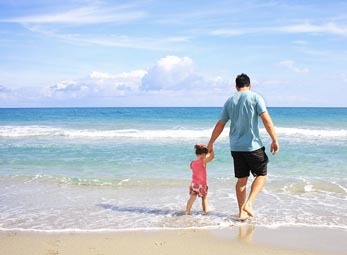 One stop collection of vacation properties in England, Scotland, Ireland and Wales. 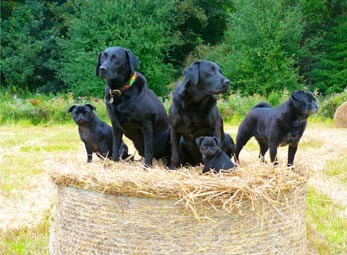 Scottish, Irish, Welsh and English self-catering rental accommodation web sites. No it doesn't have to be! If you don't want to cook on your self-catering holiday then a cook can be arranged - often, and especially with the larger holiday houses and shooting lodges, this is popular. A chef can come and cook a celebration meal or you can hire a cook for the duration of your holiday, making this the perfect luxury break in a country house for a large party. Looking for the perfect holiday home to rent? We feel sure that you find a holiday property that dreams will be made of - have a great holiday and please share your photos with us! Holiday properties in England, castles and cottages in Scotland and Ireland and holiday hideaways in Wales. Large holiday houses to rent in UK and specialist last minute cottage availability search.